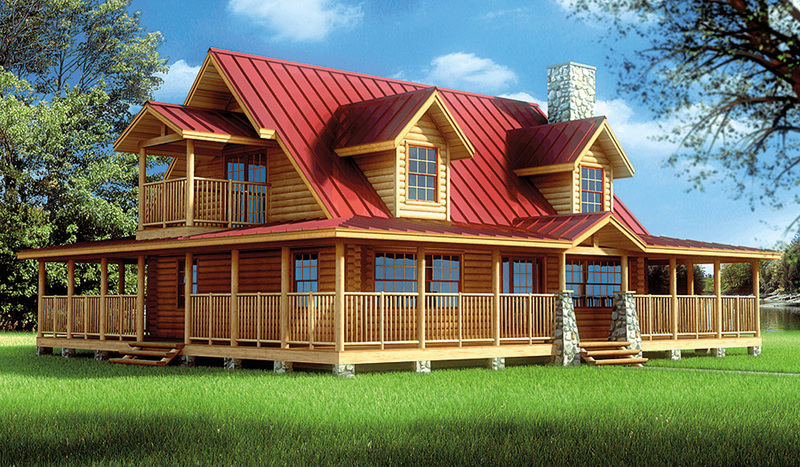 The Woodlawn boasts the popularwrap-around porch with attractive gabled entry and flanking dormers on the outside and convenient, step-saving features on the inside. The kitchen is only steps away from the dining nook, laundry room and garage.The great room has a large stone fireplace, timbered ceiling and winding staircase leading up to the second floor. 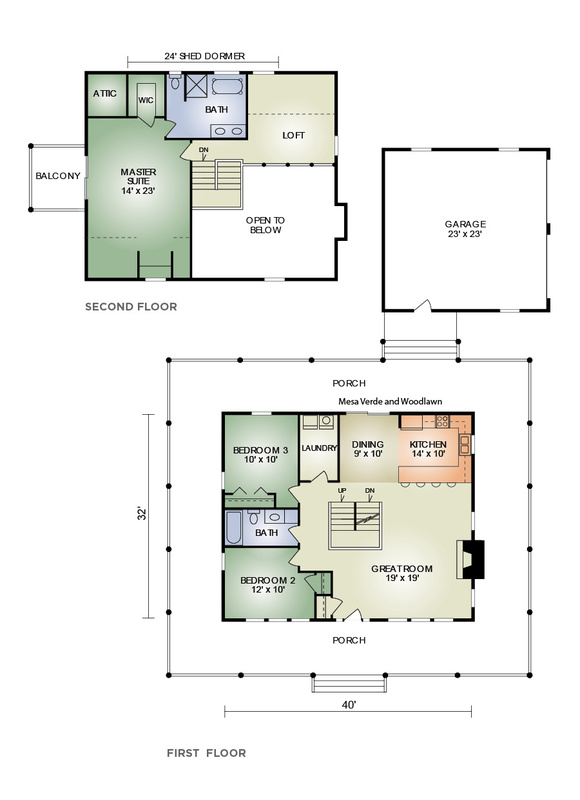 The large master bedroom has its own private outside balcony, walk-in closet and master bath. There’s so much to like about this plan and its eye-catching appeal – tastefully blended with practical, contemporary features.